I can’t bow out of food blogging just yet. As they say, live a little. 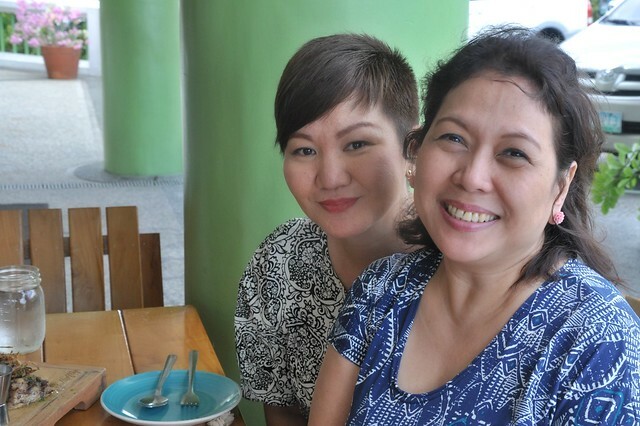 My foodie best friend Alma took me for lunch at Smokin’ Pig in a refreshingly green and muted area in Quezon City. The rib joint is at the back part of an arcade called Capitol GreenStreet. 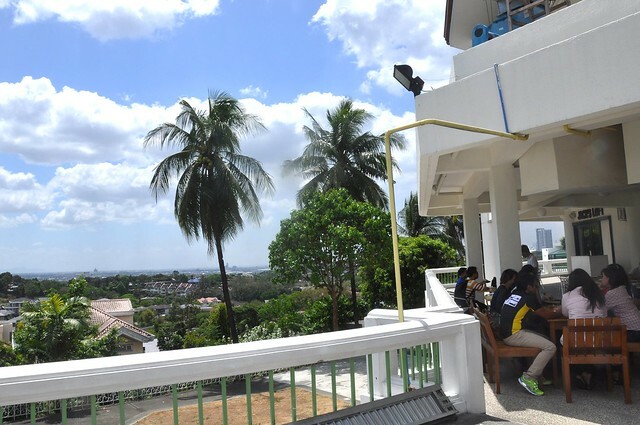 It overlooks Marikina and other neighboring cities. So fine, the kind weather complimented outdoor BBQ food. Chef Jo-An Raagas (in photo below) runs the 3-month old joint that specializes in American down-home Southern comfort food. 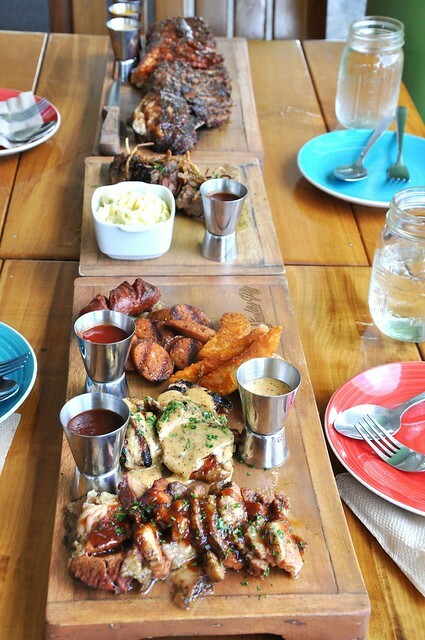 The full menu consists of slow-smoked meat, served wet with barbeque sauce or dry-rubbed with the signature rub finished on the grill, sandwiches, salads and a lot more food for the soul. 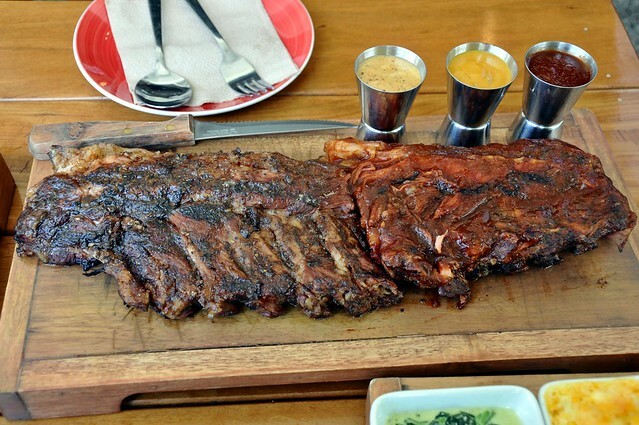 Just look at those beautifully cooked baby back ribs. Utterly fall off the bone! Between the wet ribs slathered in BBQ sauce and the dry-rubbed ribs, I died straightaway from the crusty, herby ribs. I prefer my meat without abundant sauce. Btw, I like crusty steaks too, so it must be me. 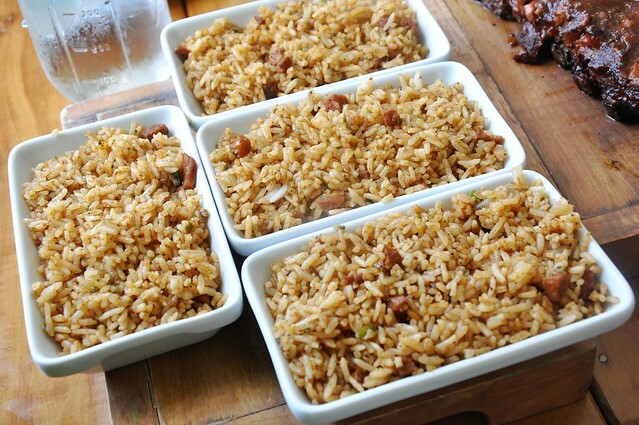 Sampled some fixin’s and dirty rice. 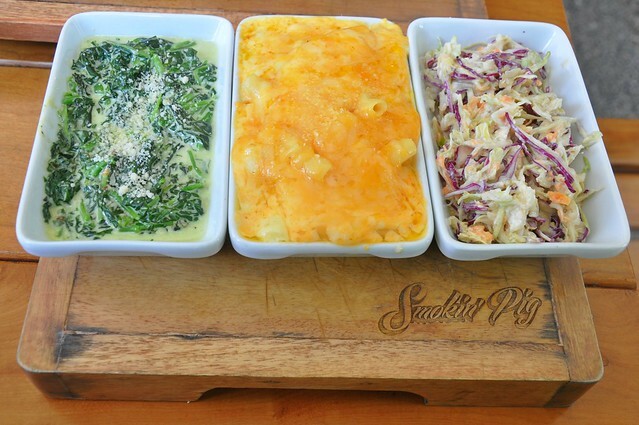 The creamed spinach, mac ‘n cheese and coleslaw were all nice, but it was the creamed spinach that stood out. 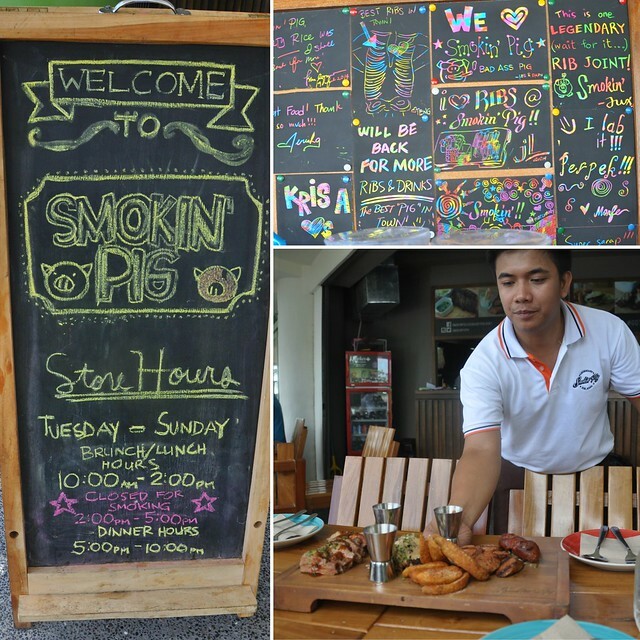 The Smokin’ Pig meat platter was suggested by Chef Jo-An. 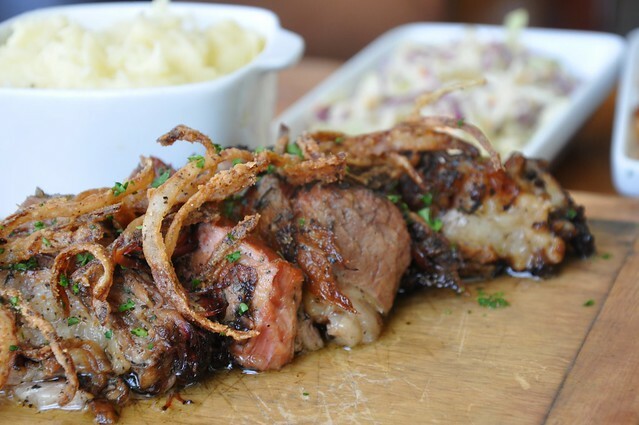 It’s a medley of melt in your mouth beef brisket that tasted so much like bone marrow (yum! 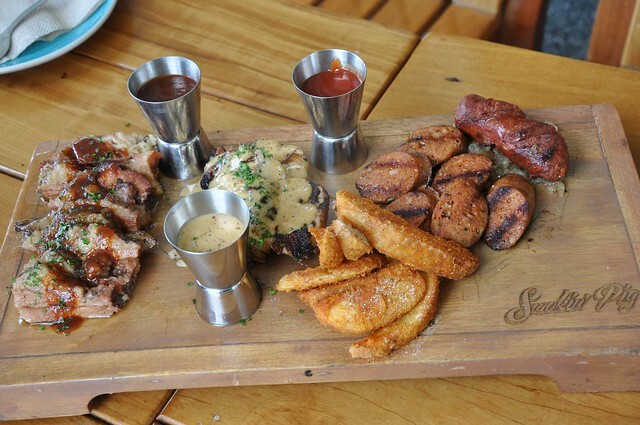 ), grilled chicken, two kinds of sausages and fries. One of the sausages was savory with just the right amount of piquant spices, reminding me of Spanish chorizo. 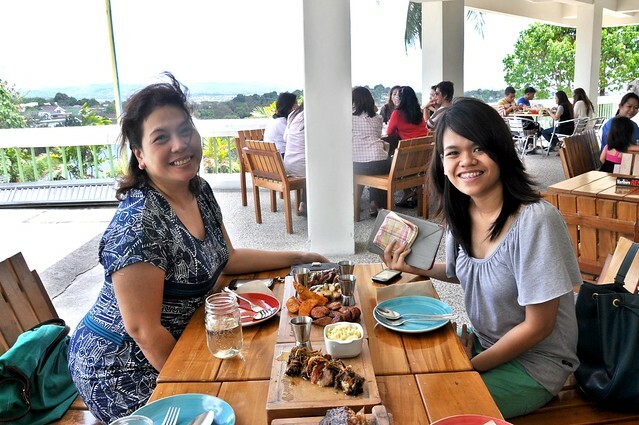 Though everything was indeed good, the grilled beef belly was all a different level! If you love marbled beef, you can’t go wrong with this — there’s a lot of sweet, melty fat layers, omg! Julia arrived just in time for the lunch. 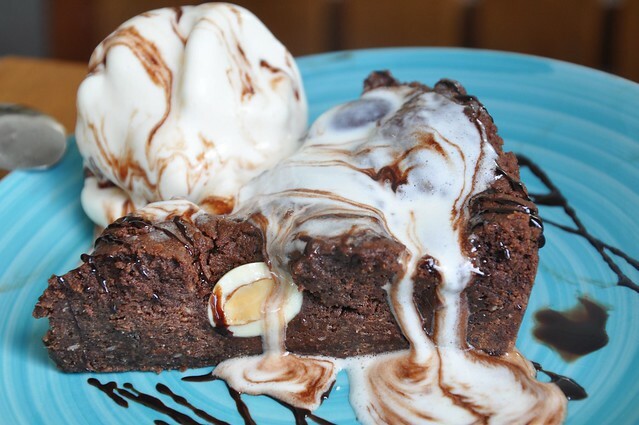 We all loved the (pretty huge serving of) almond almond. The cake was warm, so in the photo you will notice the melting ice cream. Service was nice. 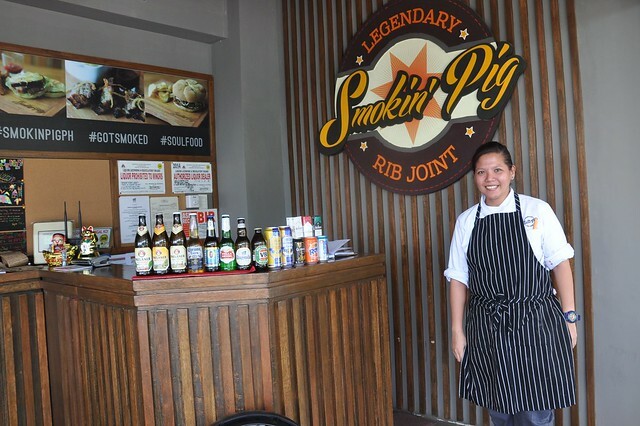 Better to make reservations early ‘coz I heard the legendary rib joint has reached far and wide. ← Finally, an Estrel’s Caramel Cake! Oh you were in our neighborhood! 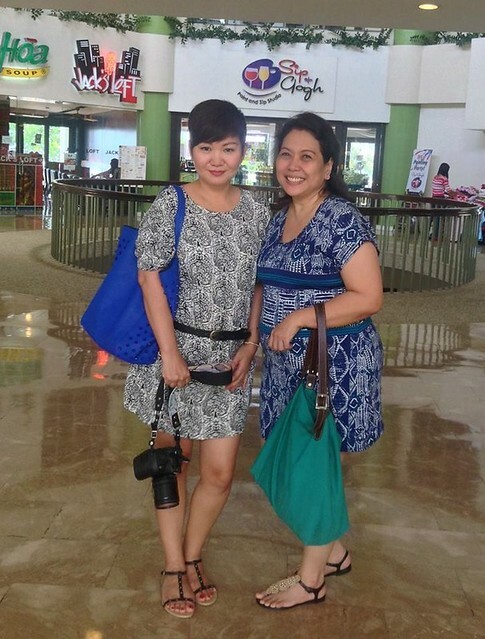 … would had been nice to bump into you! I have my dinner dates there almost weekly. golfhill terraces, jut a walk away. sometimes i go jogging up capitol greenstreet if i feel like it. i would like to bring you to mang larry’s inside UP campus next time you come.